I wish that people understood that Planned Parenthood, originally called the Birth Control League and founded by Margaret Sanger, was part of the eugenics movement of the 1920's and 30's, the same eugenics movements that top Nazis were involved in. 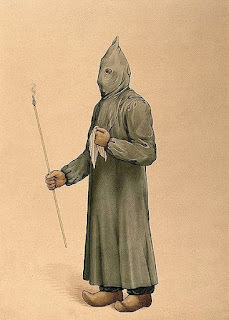 The experimentation upon prisoners in the concentration camps was a direct result of the eugenics movement which strove to root their ideas about race superiority and inferiority in scientific experiments upon live humans. That Planned Parenthood would continue to harvest human beings for more experimentation should not come as a big surprise to us. It is what the Nazis did to the Jews and other persons they thought to be inferior. Kathryn Jean Lopez on the call to prayer over this infamy. The reaction of Planned Parenthood. On the lack of merits of the lawsuit. According to The Blaze, the pro-life group is prohibited from releasing any video shot during a luncheon discussion in May which shows a Planned Parenthood doctor discussing the procurement and sale of fetal body parts until after an August 19 hearing. The ruling is very narrow and applies only to footage shot during the luncheon; it is not yet clear what impact this will have on the release of future tapes. “StemExpress, a for-profit company partnered with over 30 abortion clinics, including Planned Parenthood, to harvest and sell aborted baby parts and provide a “financial benefit” to Planned Parenthood clinics, is attempting to use meritless litigation to cover-up this illegal baby parts trade, suppress free speech, and silence the citizen press reporting on issues of burning concern to the American public. They are not succeeding—their initial petition was rejected by the court, and their second petition was eviscerated to a narrow and contingent order about an alleged recording pending CMP’s opportunity to respond. However, more tapes have been released by the CMP to the office of Texas Attorney General Ken Paxton who says they are “consistent” with those that have been released thus far. During testimony in the Texas State House, Paxton gave a grisly description of what he saw during a tour of a Houston Planned Parenthood clinic. “Our investigators are working across Texas to gather information and evidence relevant to the case. Last week, after a meeting at a Houston Planned Parenthood clinic, officials there invited our team to take a look around, including a stop at what they call the ‘POC Room.’ POC stands for ‘Products of Conception.’ There, lab technicians receive the remains of aborted children – also known as ‘the products’ – which are washed, examined, bagged, refrigerated, accumulated and every week taken away by a contractor that burns their bodies as medical waste. “As my staffers watched, a technician took an aborted child from a jar, rinsed it in a colander, and placed the body parts in a tray. Fingers and toes, exceptionally tiny but fully-formed, were clearly visible. The remains were eventually deposited in a red plastic bag, about the size of an average grocery sack. According to the people at the facility, they average at least 260 pounds of “medical waste” a week, every week. . . .
“Even if their body parts are never sold, or never used for research, for the babies who are killed in abortion clinics – more than 54,000 last year in Texas and more than 57 million in the United States since 1973 – their fate is a plastic bag in a refrigerator, and anonymous disposal in an incinerator somewhere. “For us, when we pass on, our bodies will be treated with reverence and respect, even those of us who choose to donate our remains to science. Even the remains of our most vicious criminals are treated with respect. For the children who never had a chance at life, however, they become so-called medical waste, or – alternatively – a commodity to be bargained for. Neither fate is an appropriate end for any human being. This surprising lacuna likewise regards an “imposing, enduring, pervasive historical phenomenon of the 20th century,” the phenomena of contraception, and the contraceptive mentality, which undoubtedly has gravely impacted the individual human family, and the family of man now for decades. It is simply a matter of fact that the family, including the Christian family, is under ever grave attacks in the 21st century from decadent cultural forces unleashed in the 20th century. Among those powerful forces is the contraceptive juggernaut which has resulted in a contraceptive culture throughout the world in just a half century. In 1930, Pius XI declared that contraception was intrinsically evil, and warned that it’s practice would accelerate the “moral ruin of society,” undermine the stability of marriage, and lead to the terrible temptation of abortion. In 1932, the secular editor of the Washington Post warned that the moral acceptance of contraception in marriage would mean “the end of marriage as a holy institution” and “lead to indiscriminate immorality.” Who can seriously doubt today that those warnings have come true in spades, and that the institution of marriage, as understood in natural law and in revealed religion, is in the gravest trouble. Moreover, there has been yet another grave consequence of the contraceptive mentality, which was not foreseen by the Church itself, or by the secular society, and that is the fact that much of the human family now finds itself threatened by a demographic crisis caused by being seriously below replacement birth rates. How strange it is, then, that a Special Synod called by the Pope precisely to counteract the contemporary negative forces undermining marriage and the family, and to strengthen the family as the basic institution of human society and the Church, should say little or nothing about the role that the virtually universal practice of contraception has played in causing this crisis. This virtual ignoring of the tremendous impact of contraception on married life and societal stability was confirmed by the absence of a single question in the 2015 Synod lineamenta which deals directly with the problem that contraception plays in the crisis facing marriage and family life in our day. So how can one explain this peculiar blindness in the Church today regarding the evil of contraception, and its impact on marriage and society, especially given the great intellectual and theological contributions of three great popes, Paul VI, John Paul II, and Benedict XVI? These popes made abundantly clear the moral and social consequences of the evil of contraception, its devastating impact for the perfection and stability of married love, and the stability of the family and human society at large. How their brilliant teaching could be so ignored is not easy to understand. The California Superior Court has issued a narrow temporary restraining order preventing the Center for Medical Progress (CMP), a pro-life group, from releasing further undercover video footage taken of three top-level staff of StemExpress. I posted on Alison Weir's The Lady in the Tower when it first came out, before I was able to read it, HERE and HERE. Since then I have learned a great deal more about Henry VIII's tragic second wife, the mother of Elizabeth I. I now appreciate what Gareth Russell was trying to explain to me in the first post about the papal dispensation from the pope for Henry to remarry, which made the entire situation a good deal more muddled. I once likened the fall of Anne Boleyn to a Greek tragedy. After reading Weir's book on the subject, I see it as more than tragic; it is positively occult. It is as if a Pandora's box had been opened by Henry's lust for Anne; the evil released inundated the entire country, including Anne herself. 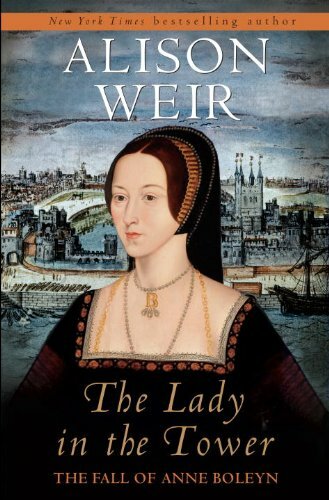 Weir's book gives an almost day by day account of Anne's fall, beginning with the loss of her baby boy, which set off the series of events. The accusations against Anne of adultery with five men, including her own brother, as well as plotting to kill the king, were invented by Cromwell, who knew his job was to get rid of Anne so Henry could marry his new love, Jane Seymour. The heinous charges, of which Anne was almost certainly innocent, not only destroyed her but the five men, innocent as well. The fact that Cromwell enabled so much blood shed makes any lionization of him in novels or films an obscenity. 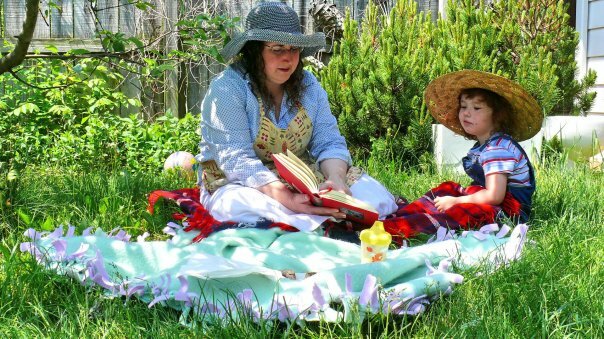 The most moving part of the book was Anne's time in prison, in which she showed herself to be a Catholic, hearing Mass, confessing and receiving communion. She asked that the Blessed Sacrament be reserved in her rooms and she spent hours in prayer. 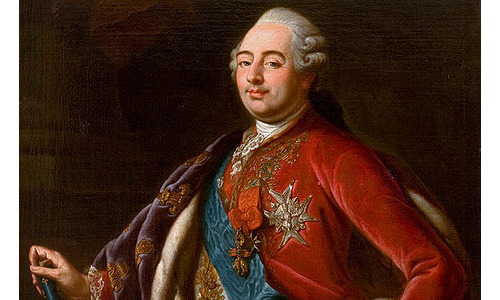 She said before she died that while she was not guilty of the charges of which she was accused, she did believe that God was punishing her for her treatment of Princess Mary, whom some claim she planned to poison. She wanted to send word to the "Lady Mary" of her repentance. Ironically, Mary was one of those who had been waiting upon Anne's daughter Elizabeth, and Mary cared for the toddler with great love. The book sifts through every breath of rumor, every possibility of guilt or innocence, and every nuance of the trials, so as to make it a monumental work and one which is a must-read for Tudor scholars. The heaviness of the horror which befell one raised so high is conveyed by quotations of contemporaries, a few friends but mostly enemies. 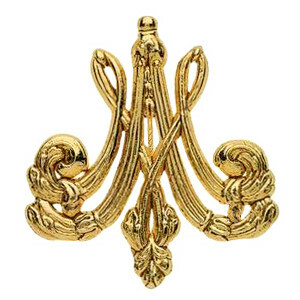 Although Anne's arrogant and haughty ways had made enemies even of relatives and former friends, it is still impossible for me not to pity her, but mercifully she received the grace to die with courage and piety. When Paul and Teresa Wieland, Catholic parents of three daughters, filed suit against the Health and Human Services’ contraceptive mandate, MSNBC ridiculed their legal challenge. 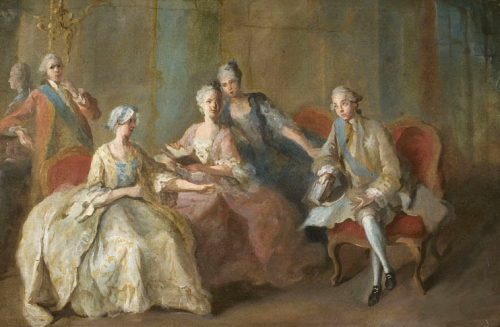 From Vive la Reine: "From left to right: the prince de Lamballe; Marie Victoire de Noailles; the princesse de Lamballe; Marie Adélaïde de Bourbon; the duc de Penthièvre." 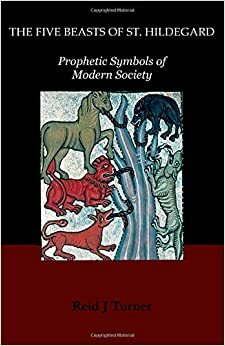 The Five Beasts of St. Hildegard by Reid J. Turner is a concise, highly readable work which applies a prophecy of St. Hildegard to the twentieth and twenty-first centuries. St. Hildegard's five beasts, representing five periods which would precede the Anti-Christ, first appeared in her great work Scivias, and are among many of her prophecies. 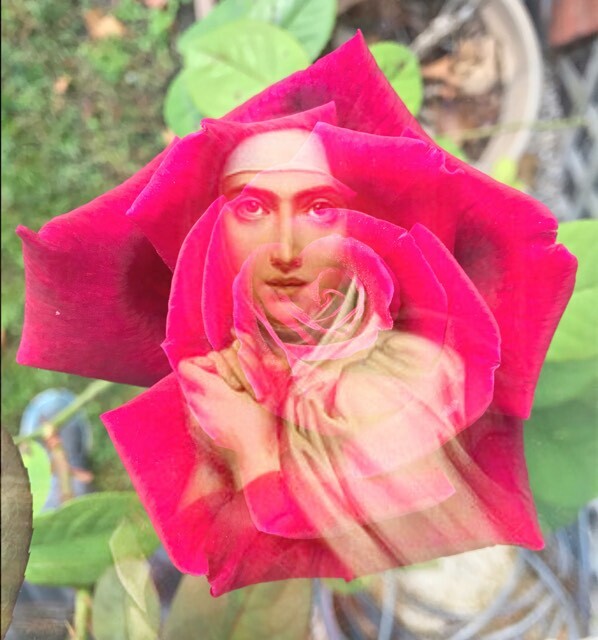 St. Hildegard, the thirteenth century Abbess of Bingen, combined mystic and prophetic gifts with a love of science, philosophy, horticulture, medicine, poetry, and music. She was a polymath as well as being a saint. Mr. Turner skillfully demonstrates how each of the beasts represent a stage towards the growing mystery of iniquity and the coming of the son of perdition. One is able to view the past on a grand scale and see the progression of events. 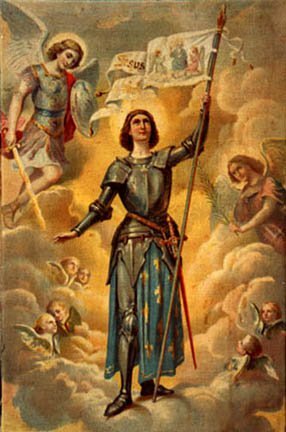 At the same time, hope is offered for a future revitalization of the Church, armed with new strength to do battle with evil. The book is a must-read for all those interested in prophetic literature and anyone who is worried about the future, for all is in God's hands and He is the ultimate victor. 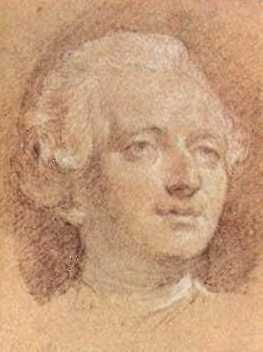 The king’s unhealthy concern with witchcraft and the occult began with his marriage to Anne of Denmark. 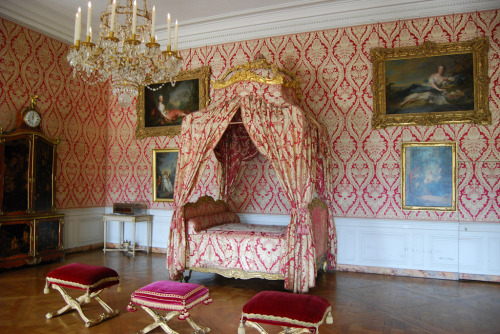 They wed by proxy in August 1589 at Kronborg, Denmark, with George Keith, 5th Earl Marischal, sitting in for James in their bridal bed. North Sea storms nearly left Queen Anne shipwrecked as she sailed to Scotland to meet her spouse. As it was, instead of sailing to her coronation, she ended up marooned in Oslo. The already daemonophobic Danes were convinced witches were to blame. I'm reading a recent gift (thanks, Bill Tighe), the book From Silence to Participation: An Insider's View of Liturgical Renewal, the 1972 memoir of Dom Bernard Botte, a monk of Mont César Abbey in Louvain (he died in 1980). A fast and fun read for non-scholars who generally know about the legitimate Catholic liturgical movement in the 40-50 years before Vatican II. When you're a traditionalist after the council it's easy to fall into an echo chamber of your fellows and romanticize the past. That's a reason I value the fact that we're still a living tradition: people I call living links to before the council help us keep it real. You'd think that seminarians and theologians have long studied liturgical texts and their history but according to Dom Bernard you couldn't be more wrong. He and others, including Anglo-Catholic emulators before the council (the late Fr. 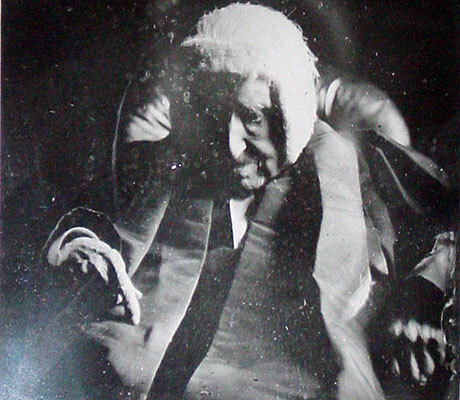 Ivan Clutterbuck in Marginal Catholics; shame he didn't come into the church), have written that the liturgy was sort of taken for granted, while being treated practically like a sacred text; it was just something you did as you received it, so the only liturgy course was to learn the rubrics. That has its good points but was also a wasted opportunity for the clergy and laity alike. 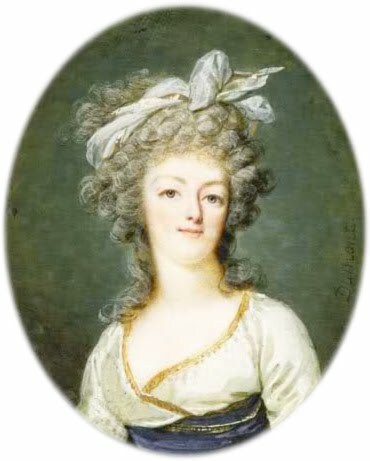 Princess Tatiana Von Metternich, who died at Schloss Johannisberg, her home in Germany, on July 26,  aged 91, was the widow of Prince Paul Alfons, last Prince von Metternich-Winneburg; she was one of the most beautiful women of her day, highly cultivated and well known in international society. Living in Berlin, Bohemia and later on the Rhine during the Second World War, she witnessed the effect of Nazism on Germany, was close to those involved in the unsuccessful plot to kill Hitler in 1944, and was forced to make a 600-kilometre trek across Germany to escape the Russian advance. 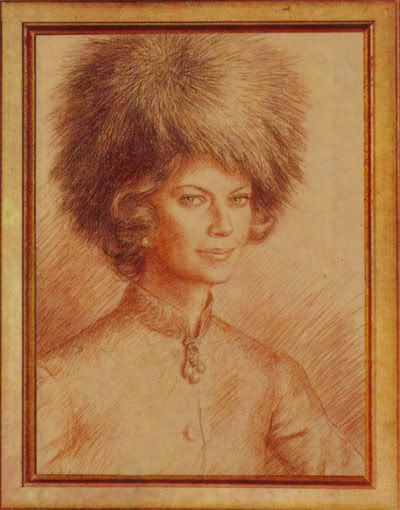 This she described in her memoirs, Tatiana - Five Passports in a Shifting Europe, and the story of those times was later re-told in the memorable Berlin Diaries 1940-1945 by her sister, Princess Marie Wassiltchikov. She was born Princess Tatiana Wassiltchikov in St Petersburg on January 1 1915, the second daughter of Prince Illarion Wassiltchikov, a member of the Russian Imperial Parliament, and his wife, Princess Lydia Wiazemsky. Her childhood was overshadowed by the deaths of many of her parents' friends and relations, victims of the Revolution. She owed her departure from Russia to King George V, who sent a British warship to rescue his aunt, the Dowager Empress of Russia, from the Crimea. The Empress refused to leave unless those who wished to escape accompanied her, and the British fleet obliged by sending as many ships as possible. Thus, in April 1919, the Wassiltchikov family sailed in Princess Ena. All the children took with them were one toy and a few books, some of them lesson books. In due course they arrived in France, and Tatiana's early years were spent as a peripatetic refugee in France, Germany and Lithuania. 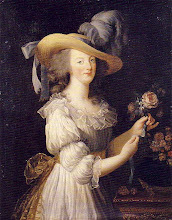 When she was 10 she went with her sister Missie (from whom she was inseparable) to the French Lycée of St Germain-en-Laye, on the outskirts of Paris, but money was short and they were quite often kept out of school due to unpaid school fees. Amongst their friends was Prince Felix Youssoupoff, murderer of Rasputin, of whom their mother rather disapproved. IRVINE, Calif. — With the façade of a fictitious biotechnology company, David Daleiden and his fellow investigators from the Center for Medical Progress (CMP) infiltrated the bowels of the abortion industry at its ugliest. For 30 months, as part of their “Human Capital” investigation, they followed the trail that led to aborted babies whose parts are earmarked for sale, even while their little hearts are still beating. “It is a paradox that we can’t have laws that recognize unborn babies as human, and yet, it is their very humanness that makes them valuable for experimentation,” Daleiden said in an interview last week with the Register. As leader of the project, Daleiden schmoozed and lunched with people at the top of Planned Parenthood — abortionists, administrators and directors. Acting as if he wanted to procure the valuable parts of aborted babies, Daleiden secretly videotaped the perpetrators so they would be admitting their own guilt in front of what certainly would be a shocked public. It was mission accomplished on July 14, when Daleiden released the first of a dozen videos. In just a few days, more than 2 million people had viewed the video, and five investigations were opened: three congressional and two state. And this week, his organization released a second video that has further intensified the public questioning of Planned Parenthood’s fetal-tissue policies and calls for defunding and more investigations. But Planned Parenthoods’ callous disregard for the bodies of innocent babies should have surprised no one, according to Archbishop Charles Chaput of Philadelphia. I feel all the difficulties of governing so great a nation. I might say I feel its impossibility, but any obstacle I had placed in the way would have caused the war I was anxious to avoid, and would have prevented the people from judging of the Constitution, because they would have seen nothing but my constant opposition. By adopting their ideas and following them in all good faith they will learn the cause of their troubles; public opinion will change; and since without this change one can hope for nothing but fresh convulsions, I shall bring about a better order of things by my acceptance than by my refusal … I wished to let you know the motives for my acceptance, so that your conduct should be in accord with mine. The Truth about "Bloody Mary"
Those new to the 16th century sometimes have trouble keeping the “Mary”s straight. There is Mary, Queen of Scots, the beauty who married three times, lost her throne and was eventually executed by Elizabeth I. She was romantic. 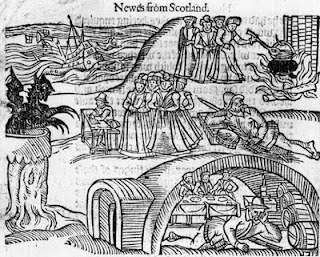 The Mary I write about in this post is the other one—the “Bloody” one who, in her zealousness to turn England back into a Catholic country had 284 Protestant martyrs burned at the stake. While more than 300 Catholic martyrs died during the reigns of Henry VIII and Elizabeth I, Mary is the one who carries the reputation of being a merciless, bigotry-filled killer. How that reputation evolved over the centuries is very interesting. 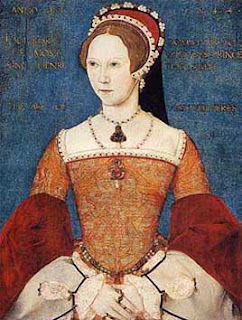 Mary Tudor was a woman of her time. While that may seem obvious, she was followed by a half-sister who was in some ways ahead of her time. 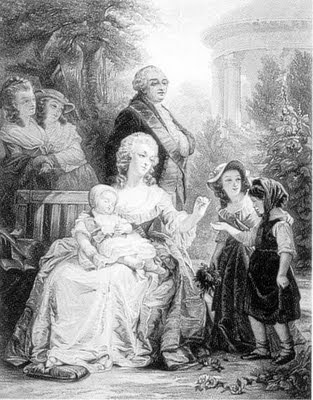 Mary took a husband to secure the succession by having children, as every monarch was expected to do. Elizabeth refused to marry. Mary upheld the Catholic religion and did not recognize the opposing point of view. Elizabeth famously said, “There is only one Christ, Jesus, one faith, all else is a dispute over trifles.” Mary and Elizabeth, while close when young, distrusted each other by the time Mary took the throne. The relationship went downhill from there. When Elizabeth succeeded, she did not honor Mary’s request to be buried with her mother, Katherine of Aragon, and rarely spoke well of her older sibling. Modern society also cherishes its shrinking violets. 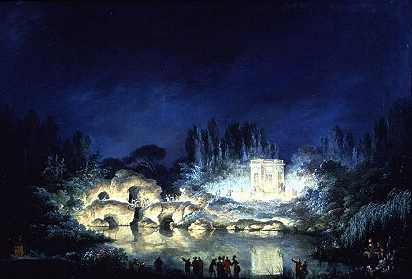 The contemporary flowers in question are those individuals whom we do not yet deem adults. Children and adolescents are no longer required or allowed to labor alongside their parents. The modern schedule of school, sports, extracurricular activities, and media consumption is busy, of course; but these activities are not essential to survival. They can even be a way to turn one’s children into status symbols. A child born at the appropriate moment in his parents’ careers, dressed in suitably adorable clothes for Facebook photos, driven to correct educational activities, and admitted to a proper Ivy League school, is a child who demonstrates the genteel rank to which his parents belong. When we think of evil, we think of something violent or demonic, something filled with hatred and wretchedly hungry to devour the good. But what if evil eats a salad at lunch and is polite, speaking rationally with nice table manners? I've just seen a video where evil casually spears lettuce on a fork and calmly, scientifically, discusses the market for the body parts of aborted fetuses, while sipping a glass of wine. "I'd say a lot of people want liver," Dr. Deborah Nucatola, senior medical director for Planned Parenthood, says in the video. She was speaking of the livers of aborted fetuses and then she popped more greens into her mouth and gestured with her fork. She explained to her luncheon companions -- people she apparently thought were buyers of body parts for research but who were secretly recording her -- why ultrasound images are so important.They're important because they help doctors harvest the organs they want without damaging them. Who wants a crushed liver? "And for that reason, most providers will do this case under ultrasound evidence," she said, picking up her wine glass, "so they'll know where they're putting their forceps." This absolutely horrific video was recorded last year by investigators from the Center for Medical Progress, a California-based group that is opposed to abortion. They allege that federally subsidized Planned Parenthood, the nation's largest abortion provider and abortion rights advocate, is illegally selling body parts in violation of the law. The group said it plans to release other video in coming days. Planned Parenthood denies the charge, says the video is heavily edited and says that women seeking abortions may volunteer to provide fetal body parts for research that furthers medical science. What's chilling is the absolute calmness in her voice. I'm certain Dr. Nucatola -- enjoying a nice lunch of salad and red wine and discussing organ harvests of the unborn -- doesn't consider herself to be evil. Perhaps you don't either. Brit Hume has one of the best commentaries on abortion ever on network news. In the newly released video, which was obtained by the Center for Medical Progress, another top official with Planned Parenthood is caught on camera haggling over the prices of aborted baby parts and admitting that she’ll alter the method of abortion used in order to harvest organs for eventual sale. “What would you expect for intact tissue?” a prospective buyer of fetal remains asks Dr. Mary Gatter, the medical director for Planned Parenthood Los Angeles, over what appears to be a meal in a public restaurant. “Why don’t you start by telling me what you’re used to paying?” Gatter replies. Well, back in the 1990s, there was a cleaning program underway on the exterior. Midway through the project, scientists discovered something pretty intriguing on the western facade: traces of paint. 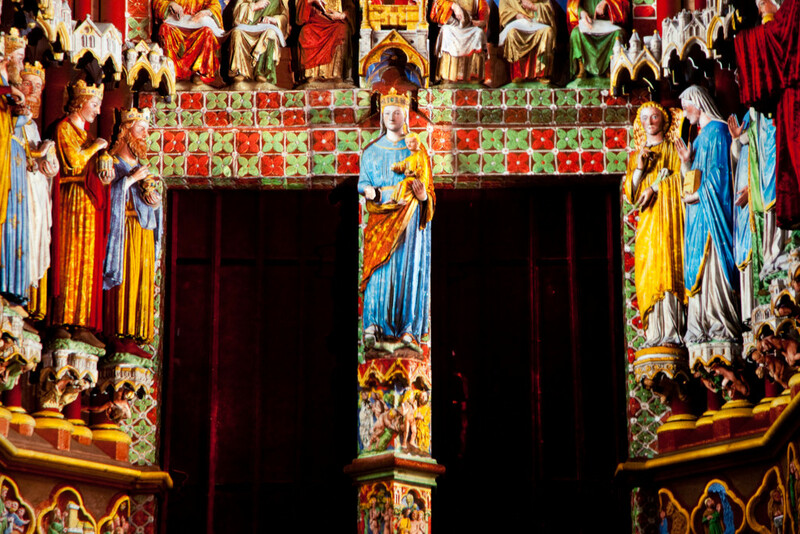 Further tests were done, and they were able to determine how the western facade was painted back in the 13th century! Then they figured out a way to project the light of the colors very precisely onto the building. Readers of the Gospels do the very same thing when they meet the Pharisees, who could put up strong arguments for a literalism and legalism about the Sabbath and against Jesus' apparent disregard for it. I think we should have the same reaction to the critics of Live Action. These people are of course far, far better people than either Euthyphro or most of the Pharisees. (But remember Nicodemus, Joseph of Arimathea, and Gamaliel!). But they are wrong, and wrong not just logically but "you gotta be kidding"ly. Similarly, when we discuss Kant and the issue of lying, most of my students, even the moral absolutists, are quite certain that the Dutchmen were not wrong to deliberately deceive the Nazis about the locations of the Jews they had promised to hide. They do not know whether this is an example of lying or not. But they know that if it is, than lying is not always wrong, and if lying is always wrong, then this is not lying. Because they know, without any ifs or ands or buts, that such Dutch deception is good, not evil. If anyone is more certain of his philosophical principles than he is that this deception is good, I say he is not functioning as a human being but as a computer, an angel, a Gnostic, or a Kantian. He is a Laputan, like Swift's absent-minded professors who live on an island in the sky in Gulliver's Travels, and who make eye contact with abstractions but not with human beings. But can't we solve the problem of the Dutchmen and the Nazis by saying that all lying is wrong but the Dutchmen don't have to lie to save the Jews because they could deceive the Nazis without lying by a clever verbal ploy? No, because effective deception by clever verbal ploys cannot usually be done by ordinary people, especially by clumsy Dutchmen. I know; I'm one of them. Our moral obligations depend on abilities that are common, not abilities that are rare. Besides, the Nazis are not fools. They would suspect clever prevarications and sniff out duplicitous ploys. They could be reliably deceived and deterred from searching every inch of the house only by an answer like "Jews? Those rats? None of them in my house, I hope. Please come in, and if you find any, please give them rat poison. I hate those vermin as much as you do." You promised the Jews to hide them from their murderers. To keep that promise, you have to deceive the Nazis. Physical hiding and verbal hiding are two sides of the same coin, whether you call it lying, or deception, or whatever you call it. What it is, is much more obvious than what it is to be called. It's a good thing to do. If you don't know that, you're morally stupid, and moral stupidity comes in two opposite forms: relativism and legalism. Relativism sees no principles, only people; legalism sees no people, only principles. The closest analogy I can think of to Live Action's expose of Planned Parenthood is spying. If Live Action is wrong, then so is all spying, including spying out the Nazis' atomic bomb projects and saving the world from a nuclear holocaust. If you say that morality changes in wartime, I reply that police 'sting' operations are an example of legitimate peacetime spying. An undercover policeman saves children from becoming drug addicts by pretending to be a drug customer to expose the drug dealer. Is this pretending 'lying' or not? I don't much care, except as a professional philosopher and logician. I do much care that the 'sting' works and my kids are protected. Do you care more about protecting your own moral correctness than protecting your kids' lives? Kitchens were used for cooking and usually connected to Larders, Entrances, Sculleries, Dining-rooms, Sideboard-rooms, Servant-Halls, Steward-rooms, Housekeeper's room, and Still-rooms. The most important features of a good Kitchen was coolness, dryness, and good lighting. Ventilation was also of primary importance because people did not want odors or cooking smells permeating into a family's living quarters or greeting guests at the front door. There were also several other things to consider when it came to Kitchens. These things included floors, entrances, and size. Stone floors were considered the best and the most practical because they helped keep the Kitchen dry and cool, but wood floors were also acceptable. Kitchens also usually had several entrances or exits that included one from a Corridor, one to the Scullery, and one to the Larders. If a Kitchen garden was present, it was also nice to have a door that opened onto it. A Kitchen for a small house might be no larger than 15 feet square with its ceilings at least 10 feet high. However, in mansions the Kitchen was usually somewhere between 18 and 30 feet with a ceiling height of 20 feet not considered too high. No one who cooks can be without bay. Even before Elizabeth David and Jane Grigson started going on about bouquet garni (a bay leaf, a sprig of thyme and a stalk of parsley tied in a little bundle), bay had long been used in English dishes, mostly as an infusion. It's unusual in that you don't eat it, as you do most other herbs (indeed, it can in some circumstances even irritate the stomach if ingested). You just borrow its flavour and its mouth-watering aroma. If you have a good-sized tree, you can cut a branch to throw on a barbecue, which gives a superb flavour to grilled lamb. But mostly you'll be using it a leaf at a time, so a small tree in a pot may provide all you need. Bay is particularly good infused in the milk with which you are going to make a cheese sauce. I generally crush or twist the leaf first so that it releases more of its flavour. Chief among the intellectual appeals stand the towering figures of the Early Church Fathers. Christians who lived, and wrote, some of them contemporary with the writings of the New Testament. Many of them, in the earliest Fathers known as the Ante-Nicene Fathers, were taught themselves by the apostles. It was the strong appeal and clear theology of these, some of the earliest and most foundational Christians, that contributed strongly to my intellectual conversion to Catholicism. To do anything otherwise, I’ll argue, would be utterly foolish. I’ve written before, in a tongue-and-cheek article, that a surefire way to avoid becoming a Catholic is to avoid, altogether, reading from the Church Fathers. The reason is simple. If you do venture a risk at reading the ancient Church Fathers something becomes alarmingly apparent fairly quickly in the history of the Church: the clarity of some very, particularly Catholic doctrine. One of the great romances of all time is that of Abelard and Heloise. 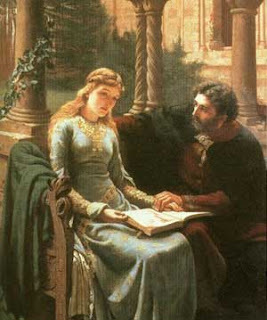 Peter Abelard was a twelfth century French scholar who was hired to tutor a gifted young Parisian maiden named Heloise. He seduced her; they had a child and there was a public scandal. They were secretly married. However, the girl's outraged guardian hired ruffians to attack Abelard. He was mutilated and the couple separated. 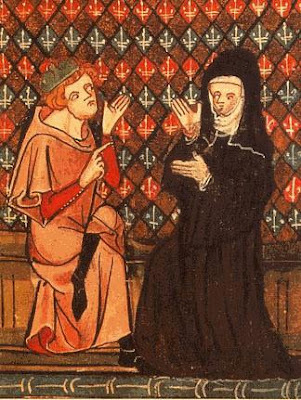 Abelard became a monk and Heloise, a nun. They both grew into accomplished scholars and influential religious. They never ceased to love each other, although they stayed apart, being under solemn vows. Heloise was particularly tormented by the memories of her lost love and grief over the disaster that had befallen them. She poured out her sorrow to Abelard in letters; he placated her by telling her that although he would always love her, what had happened was God's will. He enjoined her to forgive him for taking advantage of her innocence and that he, Abelard, accepted their separation as a penance. They are buried together at the Père Lachaise cemetery in Paris.